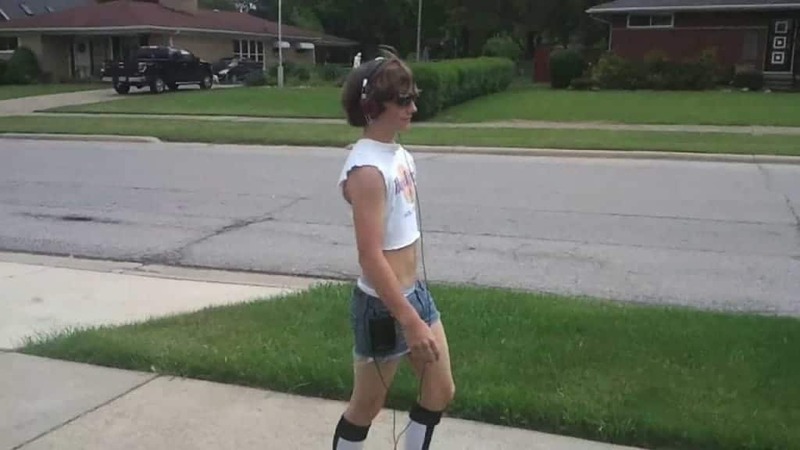 This list touches on the crazy things that people did for fashion back in the 80’s, some of them you may remember doing, or remember your parents doing, or have at least seen in photo albums. Today you laugh, or maybe you cry, at how scary fashion was. 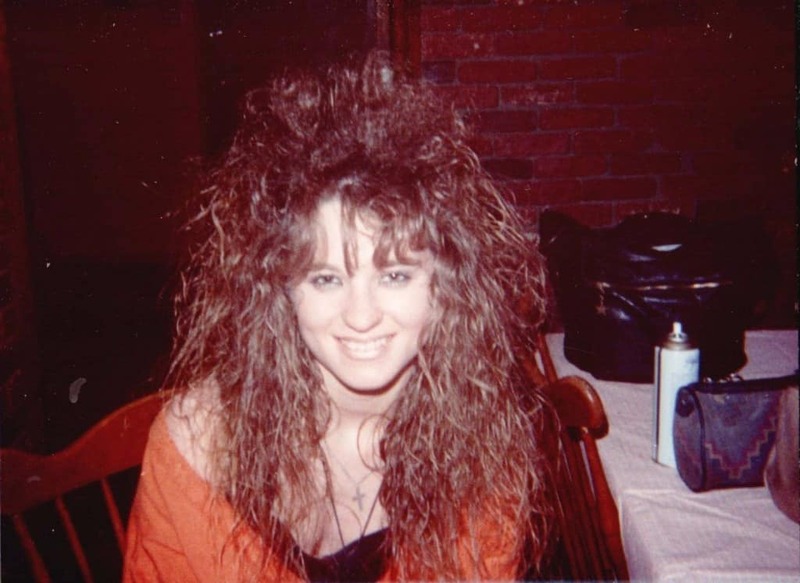 But then, every once in a while, one of these crazy looks resurfaces and it has you wished you never lived in the 80’s and had those two-story bangs! These days you are lucky enough to have skinny jeans, which solve this age old dilemma for you. 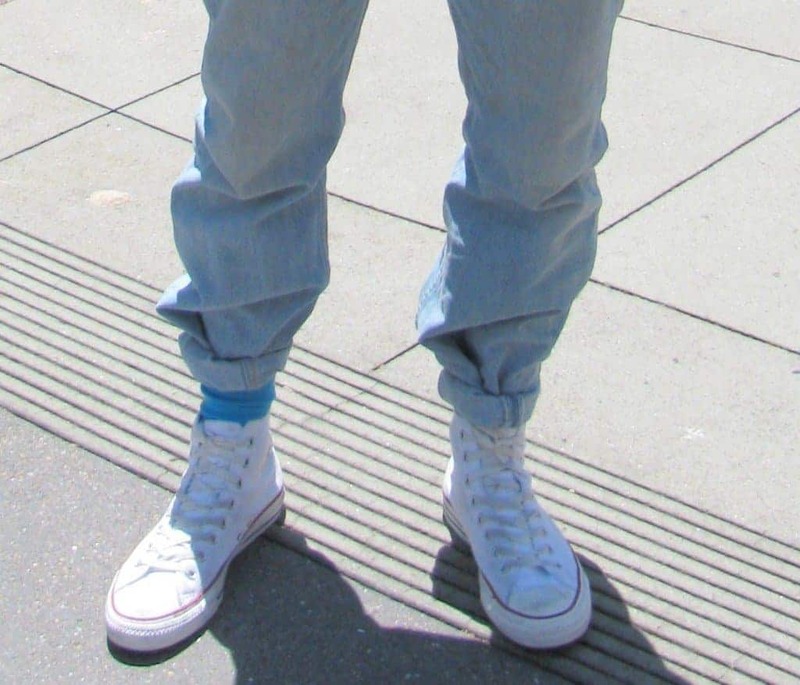 Back in the 80’s, kids had to roll their jeans. One of the worst fashion trends of the 80’s was the big hair. Many a woman suffocated on Aqua Net hairspray back then. 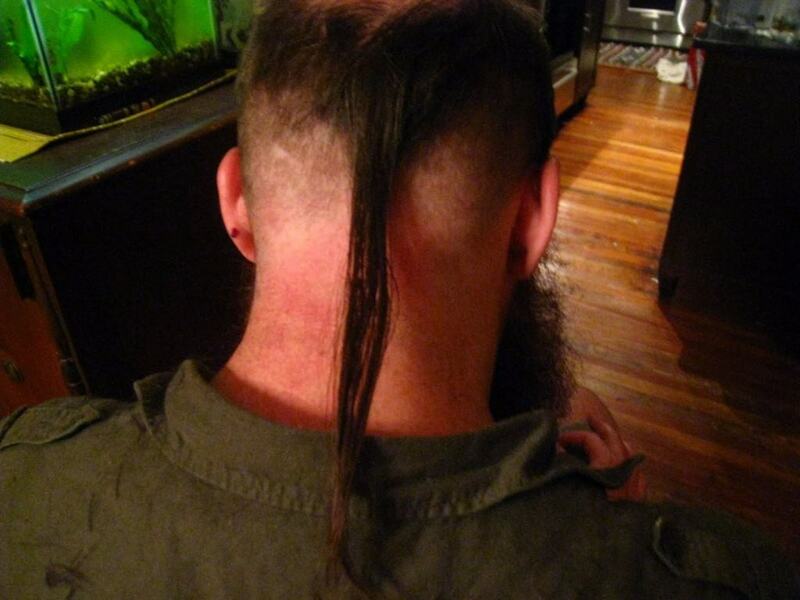 For guys, instead of big hair, they had rat tails. This look seems to be trying to sneak back into fashion today, sadly. 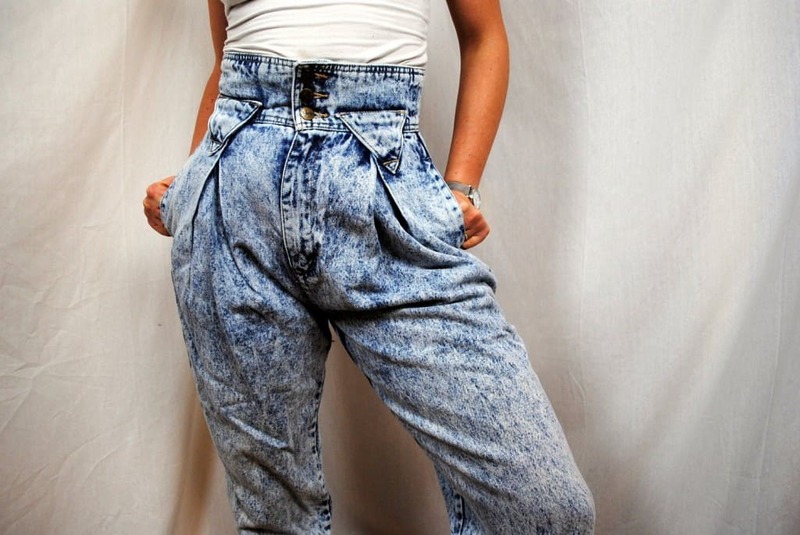 As if the waist height of 80’s jeans, and the pleats, weren’t bad enough, acid and stone washed jeans were the cool thing to own. 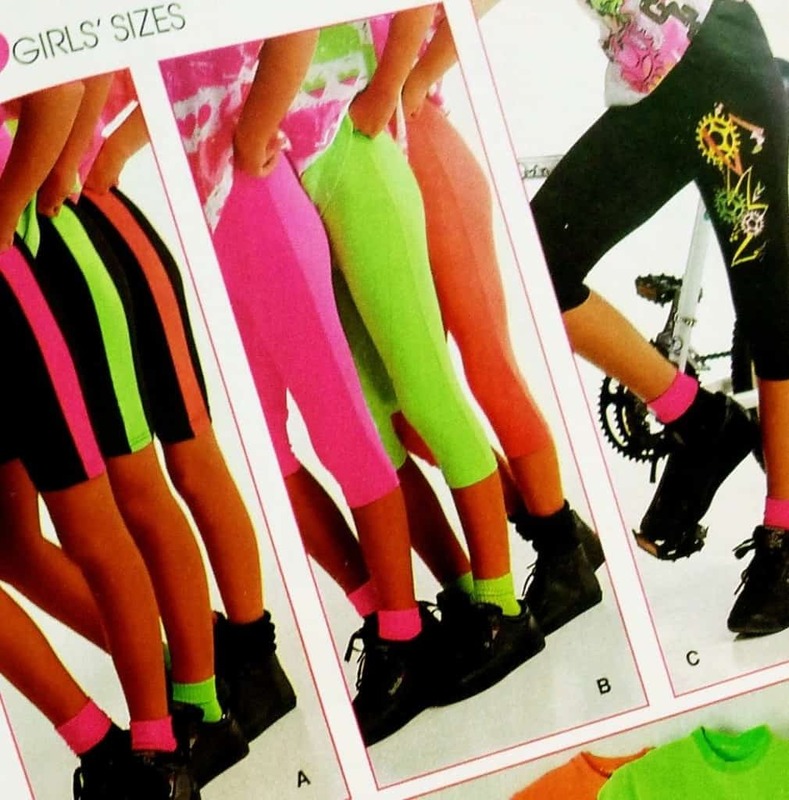 Everything was neon in the 80’s, from shirts to jewelry and workout wear. There was neon in the hair, on the nails and even on the feet. Neon sometimes makes a summer return each year, but never as popular as it was in the 80’s. This guy is just covered in horrible 80’s cliches, but The Walkman was a clunky cassette player that is replaced today by iPods of various, much smaller, sizes. In the 80’s spandex was a right, not a privilege, although many people that shouldn’t have worn them did. Guys, don’t even try it! 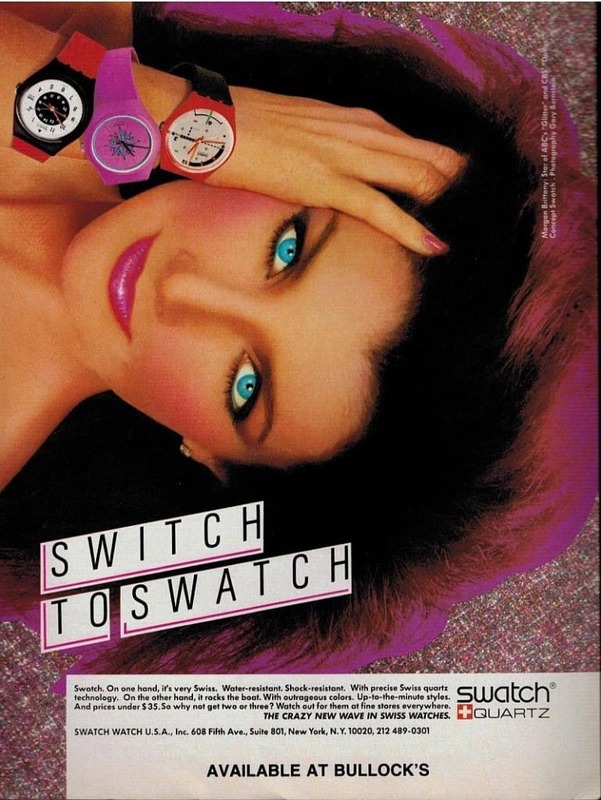 The biggest accessory of the 80’s, even for adults, was the Swatch watch. Want to be popular and stylish? Get one of these hideous plastic watches! 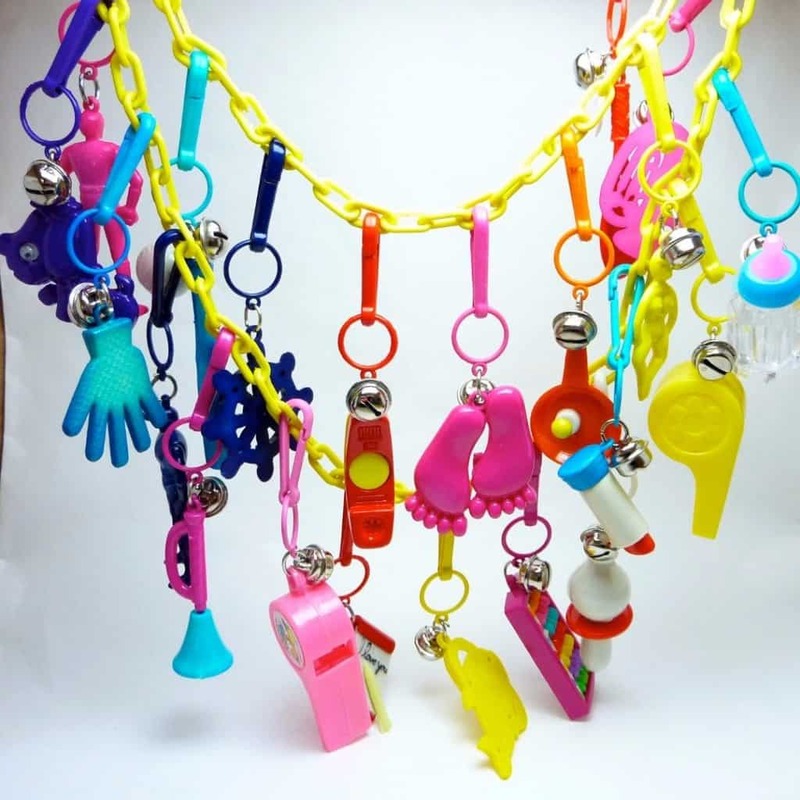 It didn’t matter if you were a toddler, pre-teen, or teen, these charm necklaces were all the rage, for collecting anyway. Did anyone ever actually wear theirs? 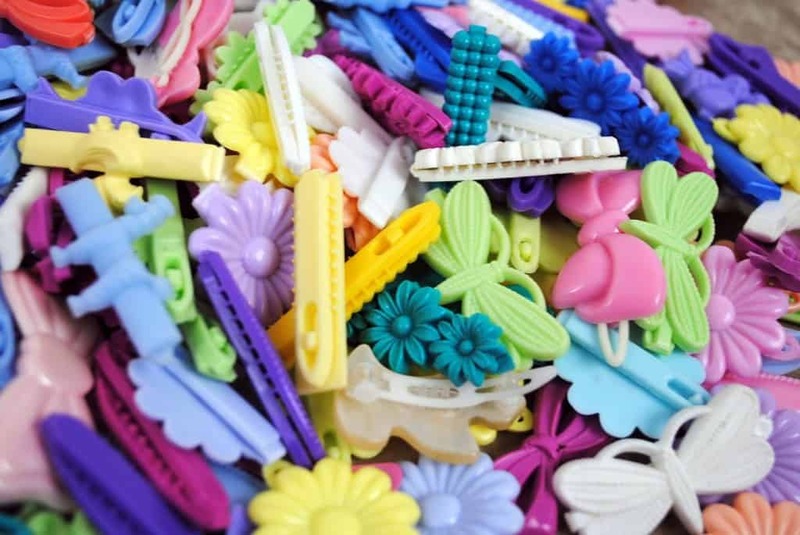 You can still find these Goody barrettes on store shelves, but back in the 80’s you found them in more than just toddler’s hair. The overall look in the 80’s wasn’t reserved for just men or women. Even the New Kids On The Block wore them! 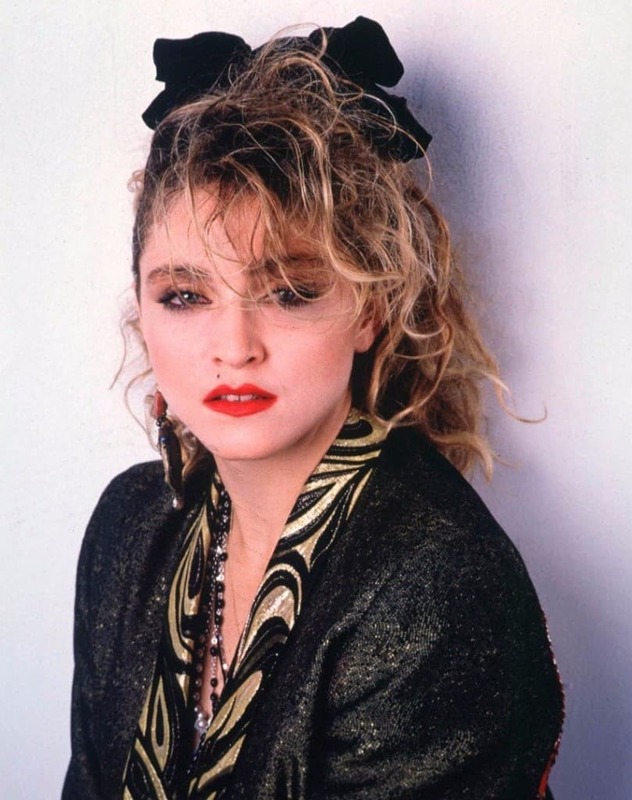 Even Madonna embraced the popularity of hair bows. These days, these big gaudy bows have been replaced by big gaudy hair flowers. 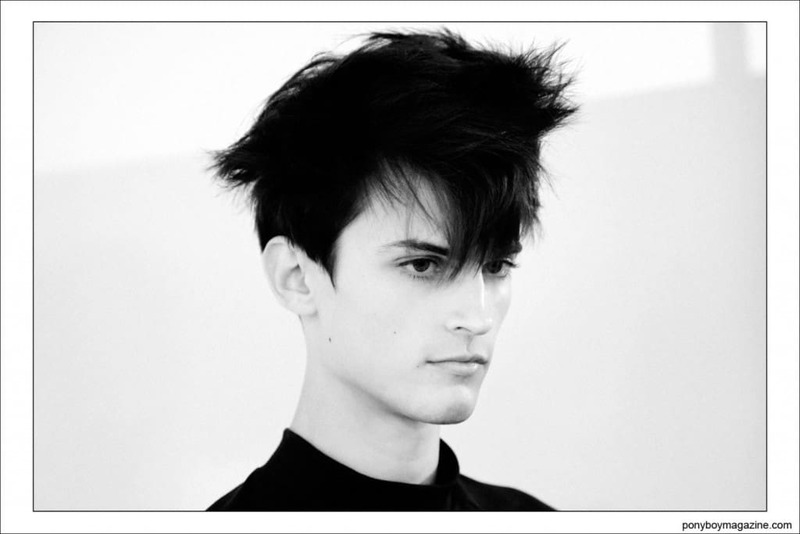 With the arrivals of New Wave bands, like Flock Of Seagulls, came the new wave hair. 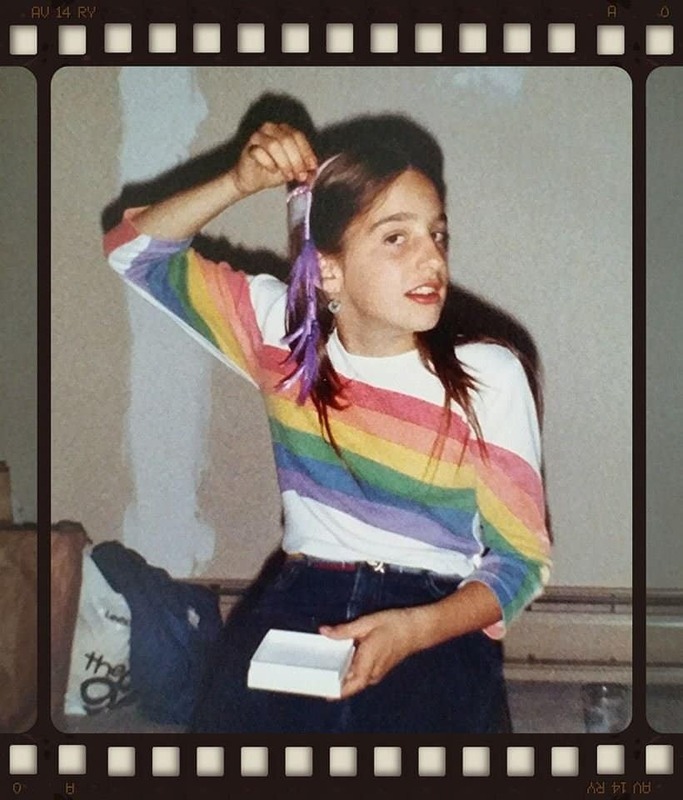 Feather hair clips, attached with a roach clip and handing from chunks of leather, were so cool in the 80’s. Now most people wear feathers on earrings. 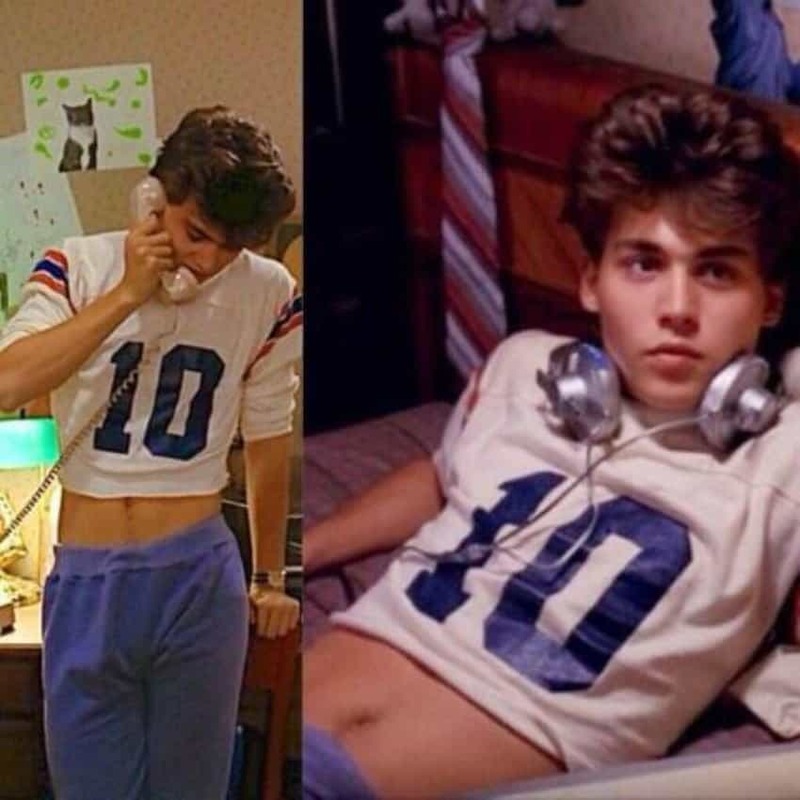 Yes, in the 80’s guys, sadly, wore crop tops as well. In the 80’s leg warmers were worn for more than fitness. The most uncomfortable shoe made in the 80’s, although they may have given Crocs the chance to be invented. 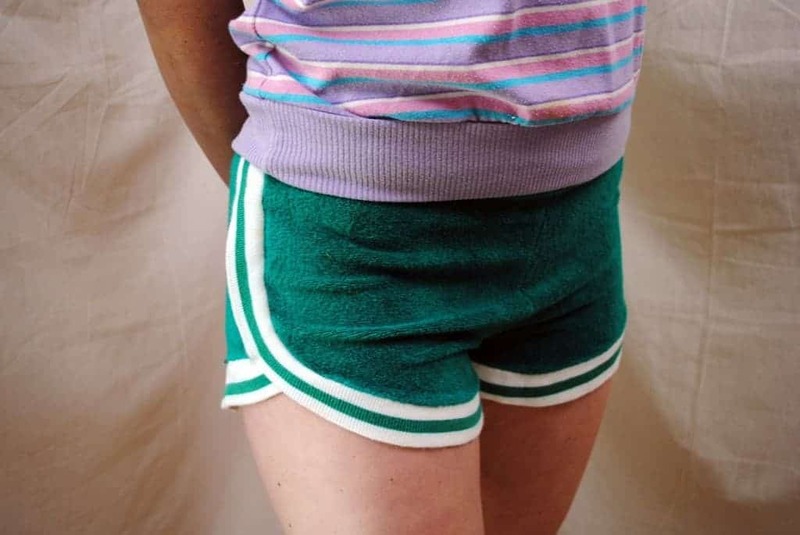 Who need wash clothes when you can wear terrycloth shorts? Unicorns were all the rage in the 80’s, and have been making a comeback. 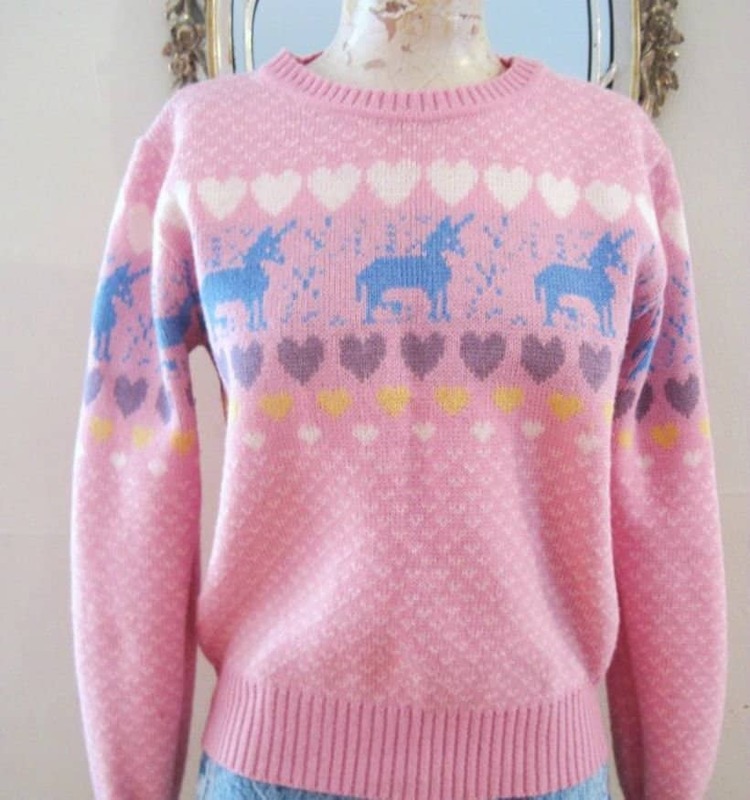 In the 80’s you couldn’t go anywhere without seeing a shirt with unicorns, rainbows, and maybe even hearts! The bane of many a woman’s existence, the shoulder pad gave gals broader shoulders in the 80’s, but some of them were happy to yank these extra pieces of material out of their tops.